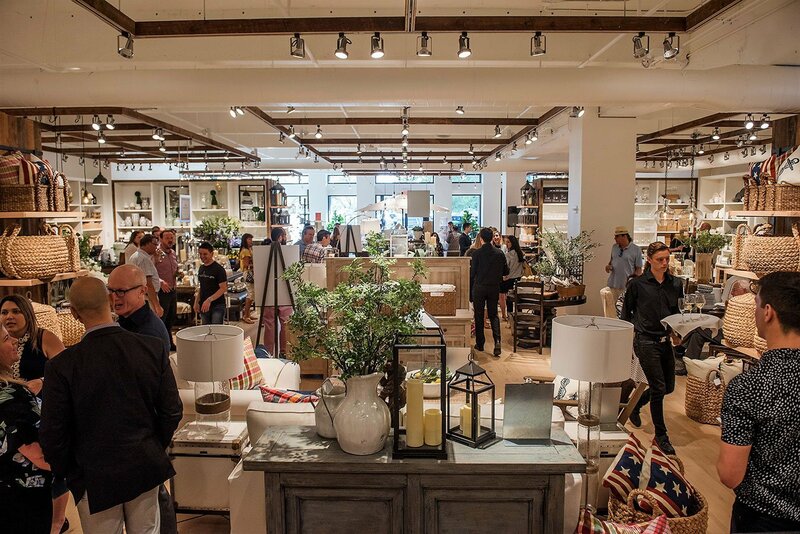 Pottery Barn South Beach has returned to Miami Beach! 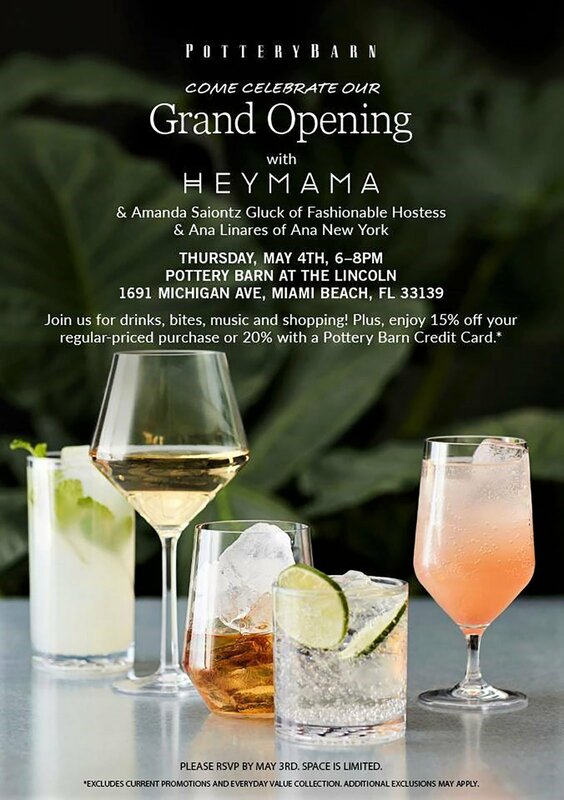 On May 5th, Pottery Barn officially opened its doors at The Lincoln building, one block north of Lincoln Road. 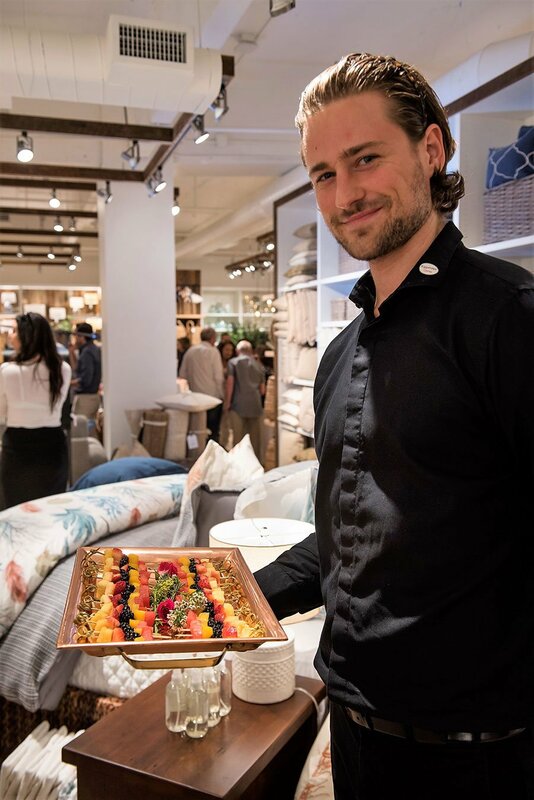 Eggwhites Catering was thrilled to cater a fun-filled VIP opening party to celebrate the highly anticipated return of the iconic home interior design store, which had closed its Lincoln Road location just two years earlier. 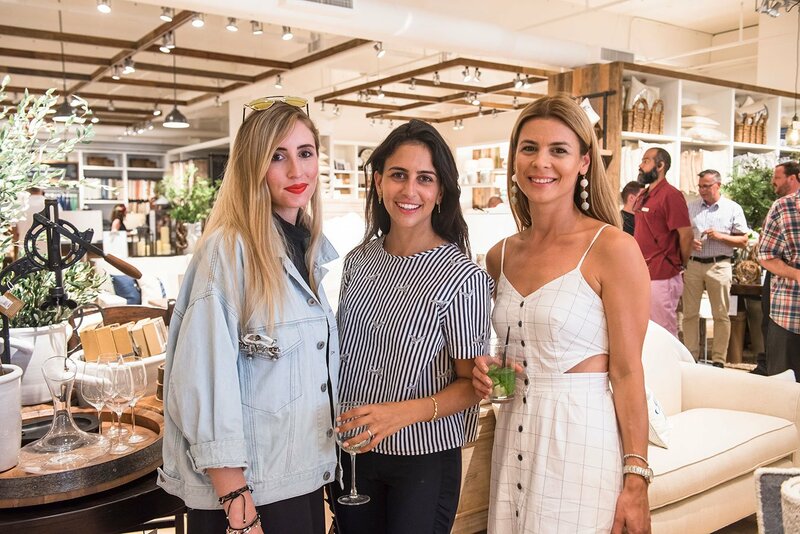 The celebration was co-hosted by Heymama.co co-founders Katya Libin and Amri Kibbler, accompanied by local co-hosts, Amanda Saiontz Gluck of FashionableHostess.com and lifestyle influencer Ana Linares of Ana New York. 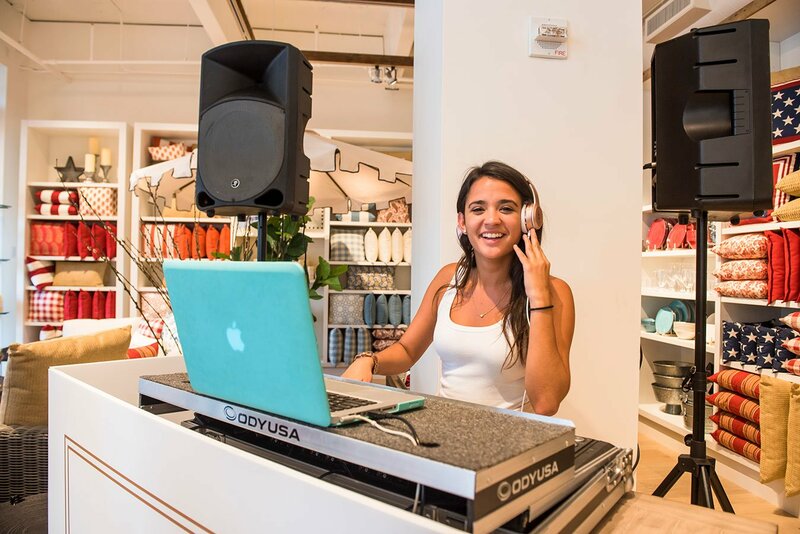 DJ Lexi Terrz set the tone with her lively mixes while guests enjoyed light bites such as Yellowtail Snapper Ceviche, mini Cuban Media Noche Bocaditos and Spanish Ham Croquettes with Papaya Salsa. 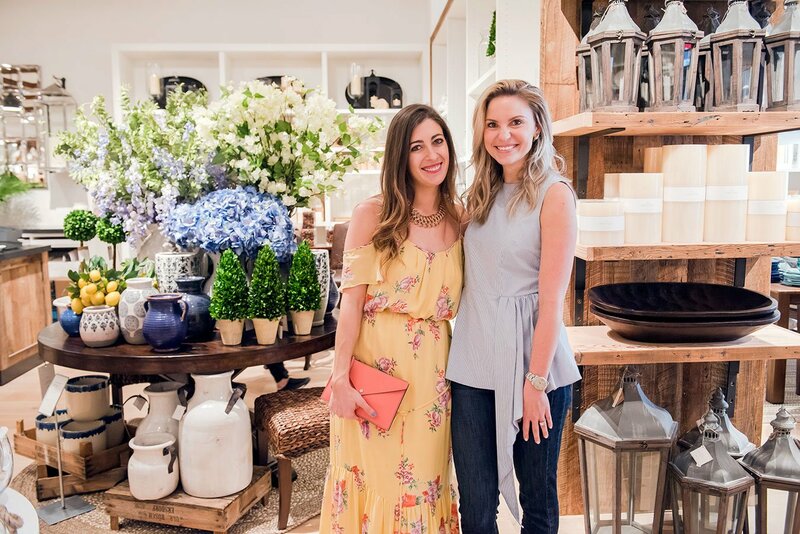 Mojitos and bubbly were flowing while guests browsed the 10,237 square foot storefront and Design Studio. 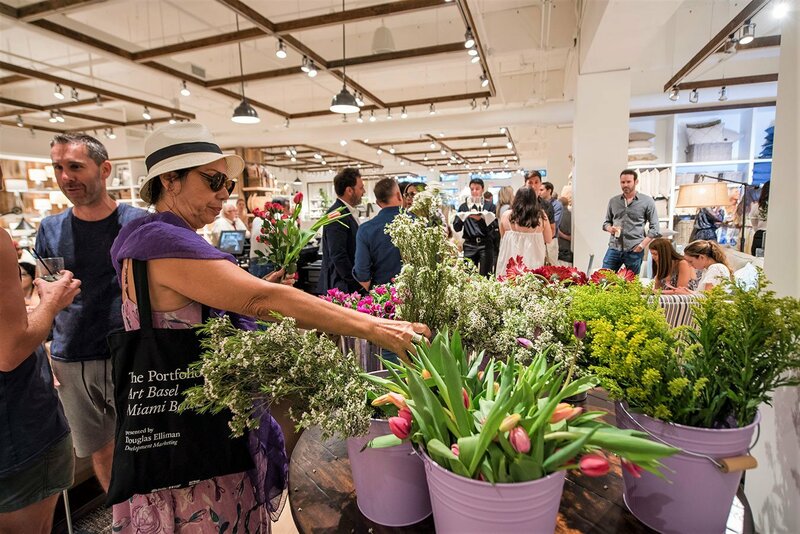 To add to the shopping experience, organizers gave guests the opportunity to select fresh flowers from the House of Lilac flower stand where they assembled beautiful floral bouquets to take home and sweet crowns of fresh flowers in the spirit of Spring and new beginnings. 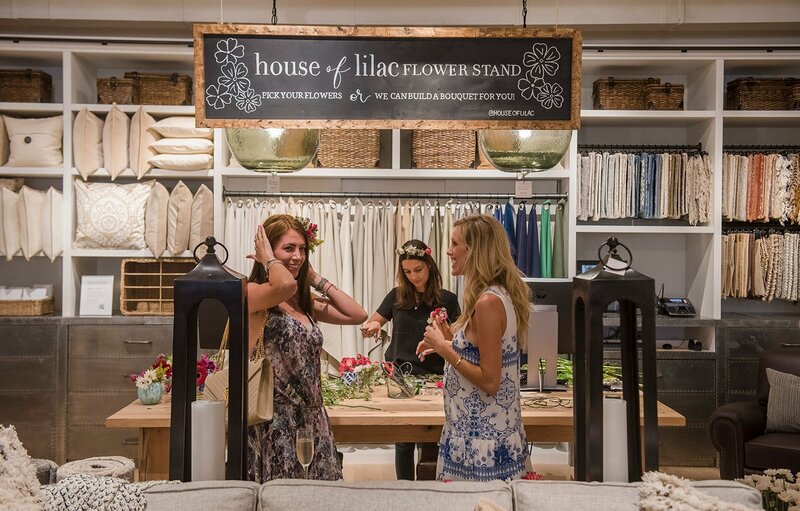 We are inspired by the warm, casual coastal style of the home furnishings and home decor. 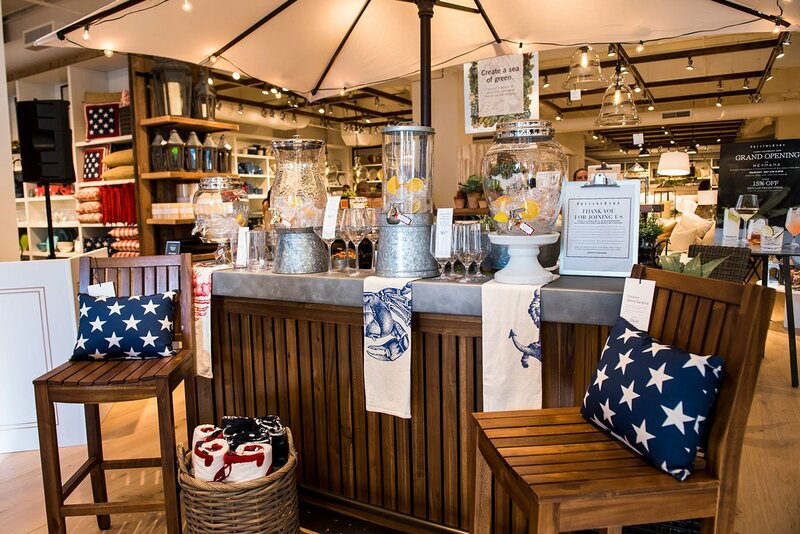 We are particularly fond of their outdoor entertaining collections. 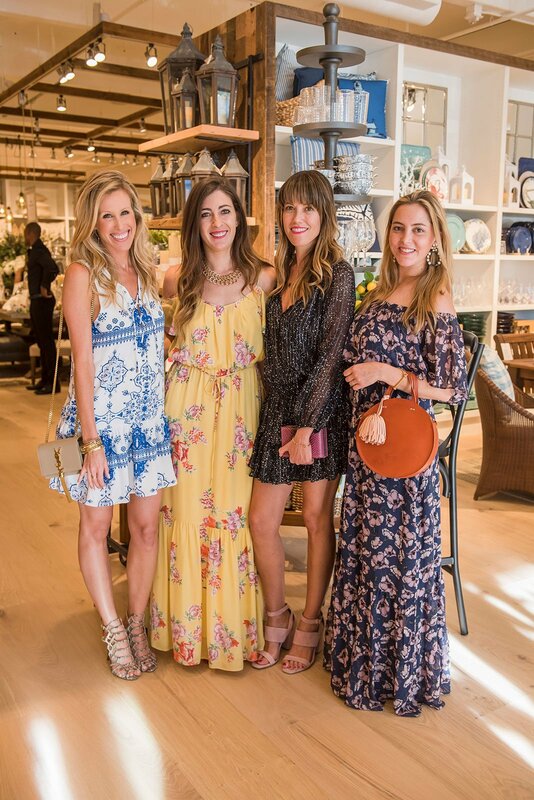 Outdoor spaces such as pool patios and backyards make excellent venues for your social gatherings. 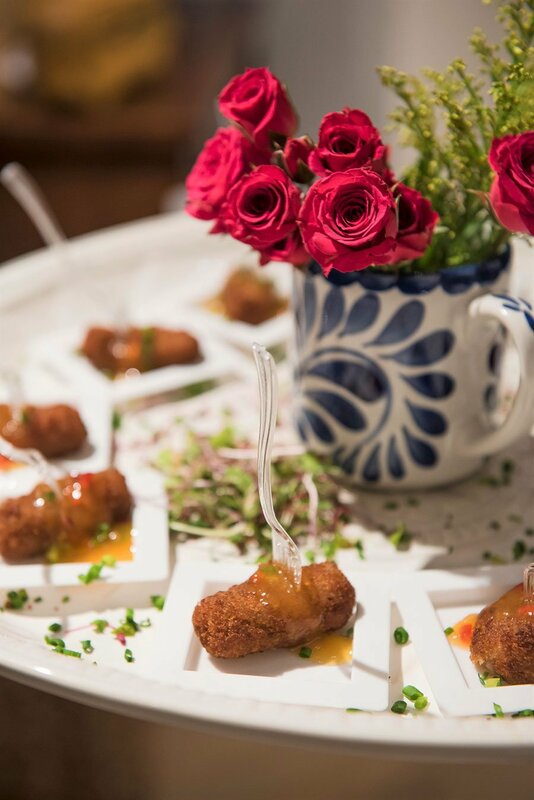 Whether it is a cocktail party with hors d'oeuvres, benefit event, baby shower brunch, a simple barbecue or a lavish dinner alfresco, Eggwhites Catering can help you create an affair to remember. 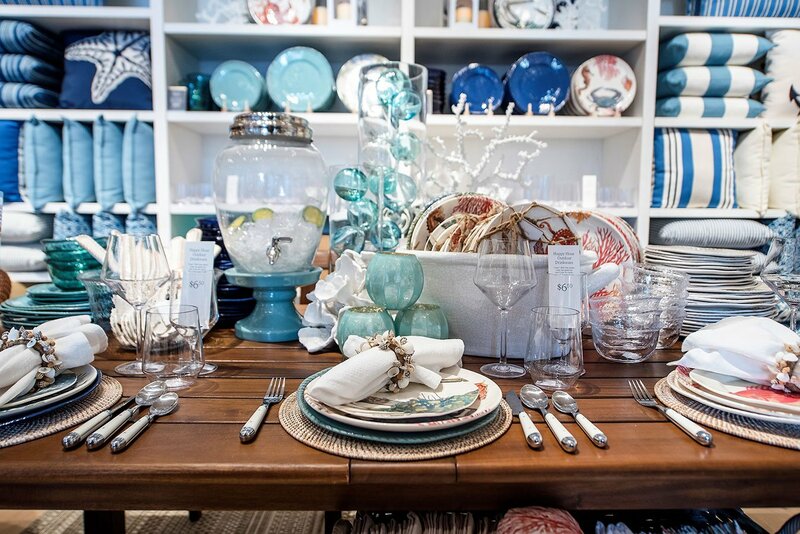 Elegant outdoor dinnerware such as Pottery Barn's melamine tableware will elevate any summer soirée. 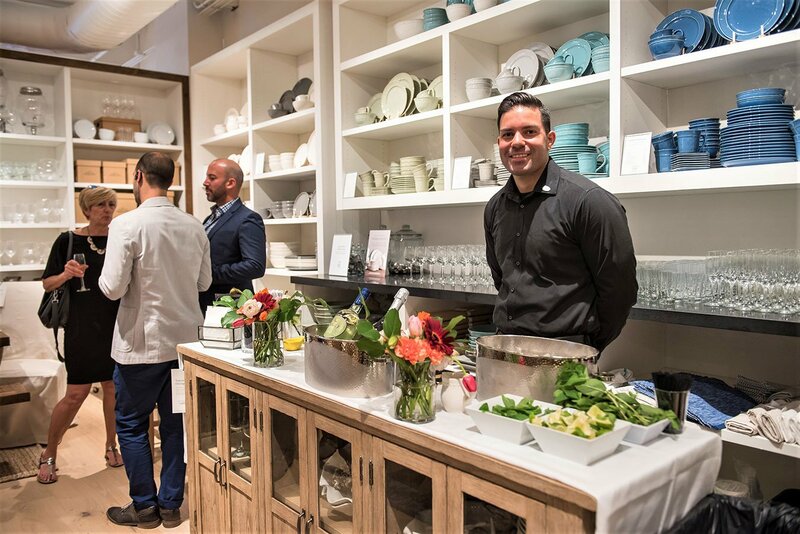 Although it looks exactly like ceramic or porcelain, melamine dinnerware and serveware is virtually unbreakable. 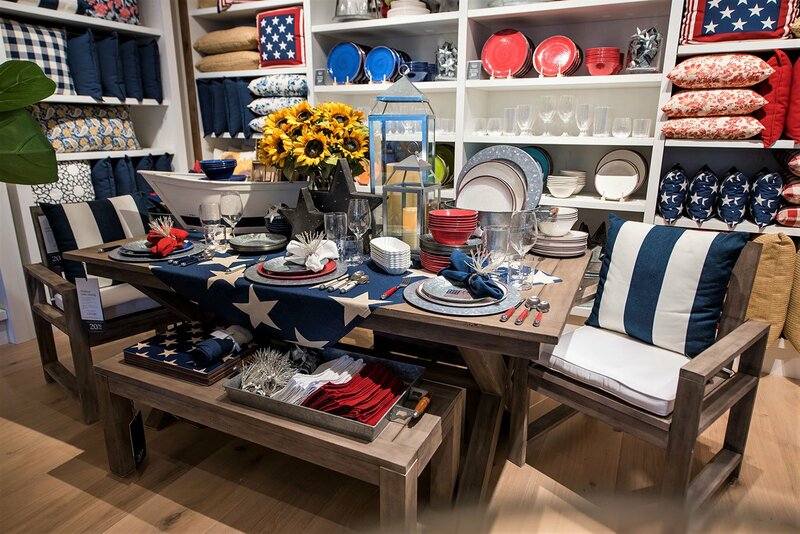 Pottery Barn's galvanized and enamel dinnerware collections lend a shabby chic vibe to your outdoor party. 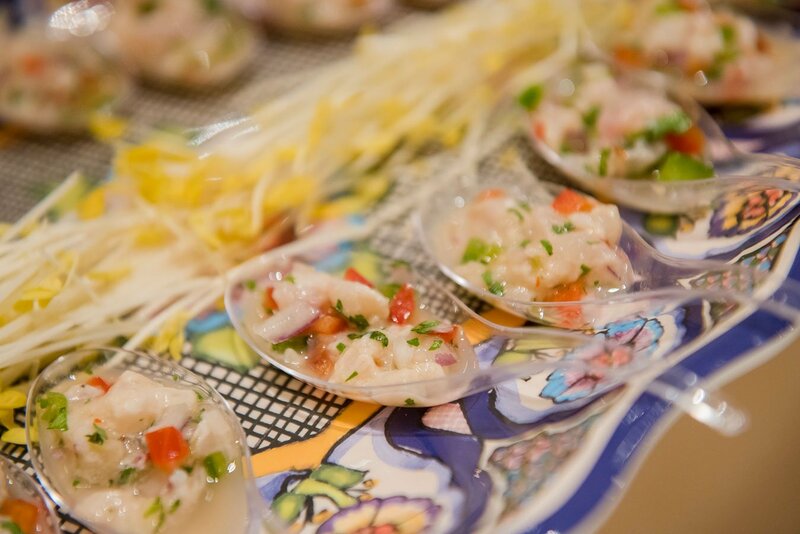 Whatever your theme or style, Eggwhites Catering will bring your vision to life! 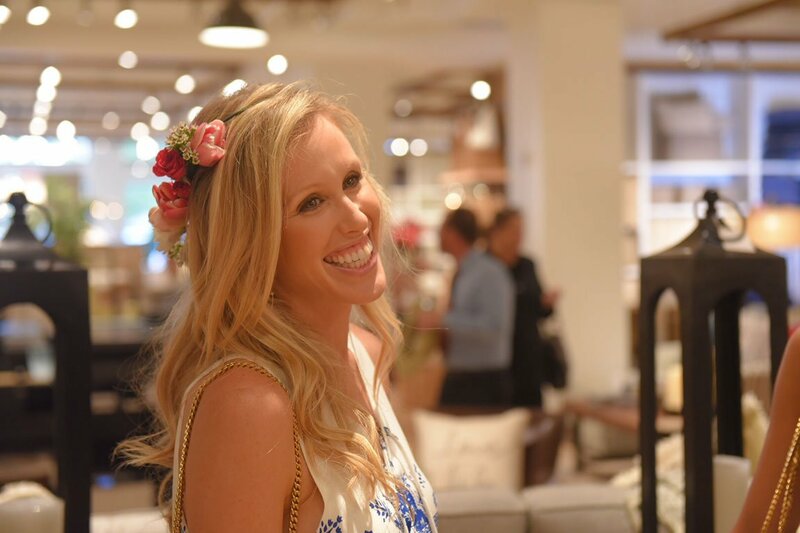 Let's plan your next event!